University of Virginia Library Online Exhibits | Photographs of drilling on the grounds at the University of Virginia. 1942. Photographs of drilling on the grounds at the University of Virginia. 1942. “Photographs of drilling on the grounds at the University of Virginia. 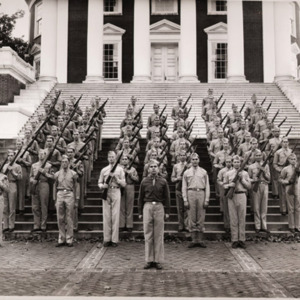 1942.,” University of Virginia Library Online Exhibits, accessed April 24, 2019, https://explore.lib.virginia.edu/items/show/2276.